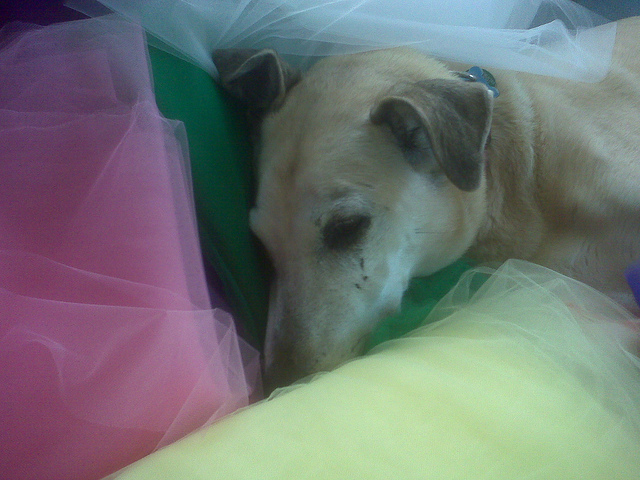 I titled this picture “The little princess in tulle.” Goldie will always be my princess. Abbie is more like My Little Ninja. Last night I went to the Target toy section, which is conveniently divided into pink aisles and blue aisles, so you won’t get your toys with a side of gender equity. Princesses and ponies fit for princesses, that’s pretty much it for girl toys. I want someone to ask little girls if they’d really like to be princesses. I’d have to explain the real Princess deal to them: Sure, people fawn over you and you get to live in a castle, but everyone also watches your every move. I think it would be exhausting to be a princess, and there’s no such thing as a part-time princess. You either are or you aren’t. And once you are, you can’t just say “Oh, hey, I changed my mind.” Unless the prince grants you an amiable divorce and you go on to become a highly paid weight loss plan spokesprincess. But that’s a whole different fairy tale. An online petition has been launched against Toys R Us, after it was caught dividing their toys into a “girls” and “boys” section. As far as I’m concerned – get real, people! Awwwwww. Wonderful post! Makes me happy just to look at her. Makes me smile to read your theorizing about princesses. And even then sometimes after your weight loss money isn’t enough you sell access to the prince and have to consider rekindling your marriage as penance. Every time you ask The Cabbage what she wants to be when she grows up she says “a fireman”. Michael got her a firetruck for her birthday. He also got her a Barbie that rides a bicycle which sounded like a great idea at the time. The problem is getting Barbie on the bike without the bike falling into pieces (you look at the front wheel and it falls off). Also, Barbie’s biker pants are basically fishnet stockings in capri pant form. I am so, so glad my girls have never been princesses (aside from in their Daddy’s heart, of course). I buy girls board games or crafts or books because I have an allergic reaction to the shade of pink in those toy aisles.